Light-drawing and light-writing is getting a fair bit of attention lately. Take these two commercials (below) for Sprint (also seen on Marc Schiller’s blog). 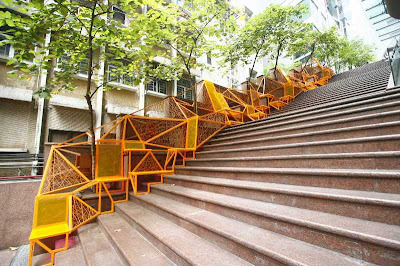 Quite creative don’t you think? Toben Seymour’s music video for the song Jubilee by the Willowz. Also some excellent photographs by scrolling down on Lichtfaktor’s MySpace page. 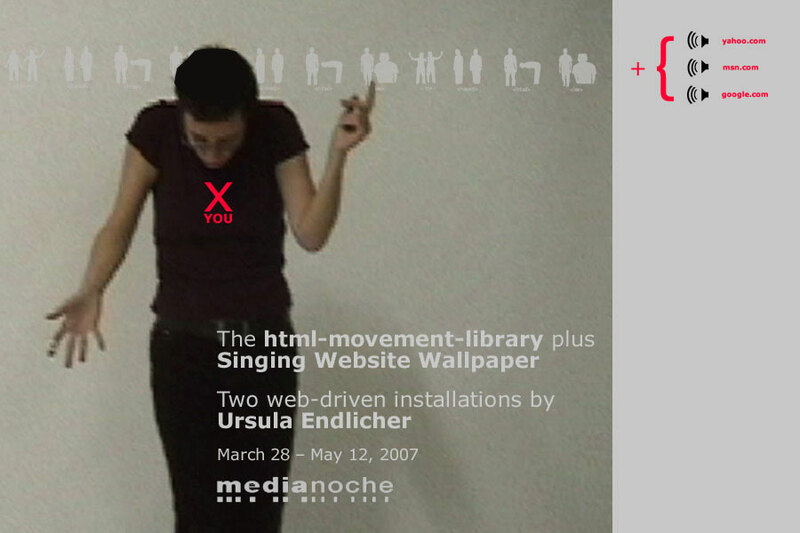 The "html-movement-library" plus "Singing Website Wallpaper"
Tate was one of the first museums in the world to record and archive its events online, but never had a good infrastructure to display this rich collection. The Tate Player encompasses audio and video of Tate’s events, and adds new Tate Shots and existing audiovisual works from the Tate Modern collection, such as videos by Gilbert & George, and interviews with Frank Stella and Sol LeWitt. The service allows Douban users to write miniblog post within 128 Chinese characters, you can find a new miniblog section in your profile page, and follow your contacts’ updates in a page similar to Twitter. Only updates via web is available so far, I don’t know whether Douban will add IM/SMS supports, anyway, it seems Yang Bo does not plan to develop miniblog into a Douban Twitter. I think it is more likely that Douban Yulu would be something like Facebook newsfeed which helps your to know the latest activities of your contacts, such as adding books into collection, writing book or movie review. Besides this miniblog service, Douban recently also improved its group feature to allow users to create private groups. I believes both private group and Douban Yulu are signs that Douban would put efforts into enhancing its social networking features to motivate user’ activities in Douban. Please use the VLC software in order to view the stream and enjoy! The program will restart with Régine Debatty after the lunch break at 14:30. The workshop “Satellite Voyeurism" addresses questions of production and reception of satellite images. In addition to public lectures by international media artists, committed scientists and commercial companies' representatives of the regions' geo-data industry, a two day workshop program with up to 12 participants takes place. Within the hands-on part the participants learn how to use a simple antenna, computer, soundcard combination to retrieve satellite images of NOAA satellites, and share own ideas and projects with the other participants. Both lectures and workshop discuss the image quality of satellite images but of course the subject will also touch upon the field of locative media, as GPS, GIS. Through the workshop the basis for a publication shall be created, which includes documentation about recent media art projects in the field of mapping, satellite images and satellite technology. “Introduction: A few comments on the success of Google Earth"
“Recent artists' project using satellite images and geo-data"
“Geomedialität: Neue A-Perspektiven auf den blauen Planeten." Public program ends at 16:00.
geographic mapping tools led to the development of the “Satellite Voyeurism" workshop in 2007, directed by Francis Hunger. a color frequency graph depicting the popularity of colors in the final theatrical posters of the 25 top-grossing U.S. films, sorted by MPAA rating & category. overall, it seems that black & dark-hued backgrounds are the predominant color. also, flesh tones are an alternative & recurring range of colors, whereas white is mostly only used as an accent color. We have been talking about you -tube and video and again Nicolas Bourriaud inspires to this very exciting program by a Brazilian curator. It is a pity that I miss the talk @BC in May. Since Microwave organised procedural animation workshop, processing and Gulldy 's Kapok exhibition with processing work from Taiwan, I can see that a bumch of designers in this region are working on this idea of computational design. You can find Paul Talk at BC here. The "Get it louder" show in Canton busy shopping mall was violently destroyed by visitors. 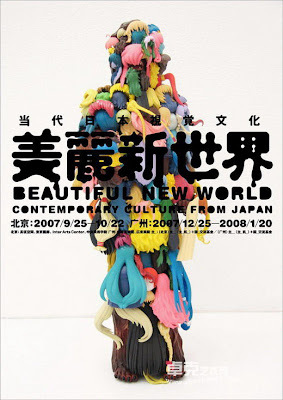 WISH HONG KONG will have this program soon. BObo and Hang will like it too. The term ecovention describes an artist-initiated project that employs an inventive strategy to intervene in or transform a local ecology. Ecoventions usually involve collaborations between artists, community members and local specialists such as ecologists, botanists, landscape architects or urban planners. This day will be of particular interest to artists wishing to develop their ecological-art practice and ecologists interested in working with artists to raise awareness of ecological issues. The day is led by American artist Brandon Ballengée, with urban ecologist Dusty Gedge and artist and photographer David Cottridge. More than many environmental artists, the work of Brandon Ballengée bridges the gap between research biology and art. He combines a fascination with fish and amphibians with the techniques of commercial art photography. In 1996 Ballengée began collaborating with scientists to create hybrid environmental art/ ecological research projects which have been exhibited internationally. Ballengée’s “eco-actions” directly involve members of the public in these research projects through performative, collaborative fieldtrips. During 2007 and 2008, Ballengée is leading a UK study into declining amphibian species, through participatory lab and field-based research investigations, working with the public as well as collaborating scientists. The project is organised by The Arts Catalyst and enabled by residencies at Yorkshire Sculpture Park, Gunpowder Park, and Space Studios, London. Urban ecologist Dusty Gedge advises a number of government bodies, NGOs, architects, landscape architects and the green roof industry. He was previously a professional street entertainer, circus performer and actor, but always keeping his interest in nature. David Cottridge is a wildlife photographer and artist. Widely regarded as Britain's top bird photographer, he is also one of the UK's most popular birding lecturers. David has been photographing Gunpowder Park throughout the redevelopment of the site and, in collaboration with artist David Chapman, has created HARK 1 and HARK 2, multimedia projects inspired by the park’s landscape and soundscape. 11.00 – 12.30 Seminar with Brandon Ballengée, Dusty Gedge and David Cottridge. The event takes place at Gunpowder Park, 90 hectares of new country park for the benefit of people, wildlife and the arts. Located at the top of Greater London within the Lee Valley Regional Park, Gunpowder Park is the largest open space in the region for arts and the environment. Admission by registration. Free but limited places. 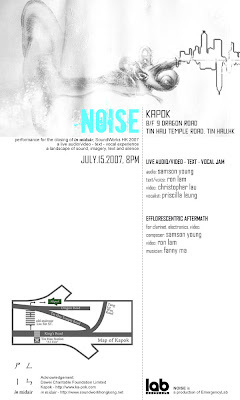 This Saturday there will be a very special, one-time sound art/installation/performance event at our studio in Fo Tan, as a side-project of Get It Louder 2007. There are limited spaces available, so if you are at all interested, please RSVP to Nookei (nooknookei@yahoo.com.hk) ASAP. For more information, read on below, and check the following links. What is ghost? A fed up extistence of human life? 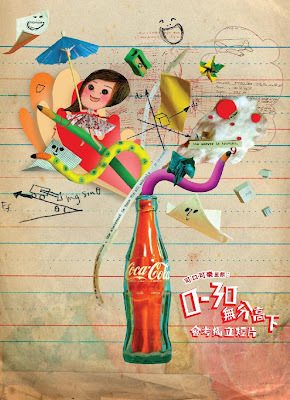 A kind of lingering memories? Or a kind of alienation process? Teaming up with Embassy Projects, a group of experimental aritists and sound artists, will invite the aduience to explore, re-invent and re-experience the concept of ghost, through a series of multi-media performance that incoperates sound, visual, installation and live interaction with the audience. Each artist will be presenting their interpretation on the concept of ghost, and creat their own dialogue with the ghosts. Audience is invited to stay as long as they want after the performnace to share their ghost stories in a chill out party. Combining acoustic and electronic music, and the multi-media approach of Embassy Projects, this is an experimental live performance that invite the audience for direct communication and interaction. The result of this communion will be published by Lona Records in the format of 3" CD-R. The is a diplomatic mission of breaking boundaries, between different medium, different roles and different communities. Between the existence that we know and that from the other side. 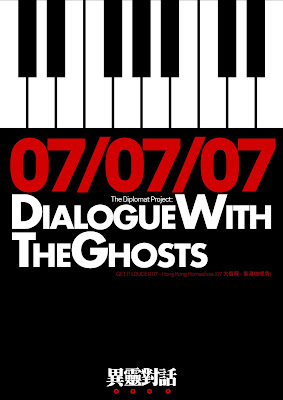 "The Diplomat Project: Dialogue with the Ghosts" is a sound art event of GET IT LOUDER 07.